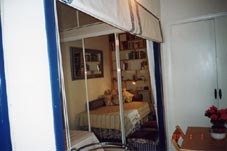 Small 40 m2 fully furnished apartment in the historic and romantic Madrid de Los Austrias area of the city. Stylishly decorated and ideal for 2 persons, although there is also a pull-out sofa-bed for extra guests or children. 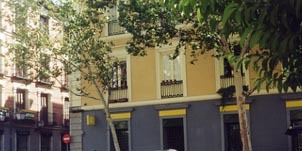 The apartment is located right in the centre of Madrid, 5 minutes walk from the Royal palace and close to metro and bus lines. 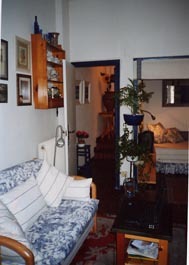 The apartment is situated right in the centre of Madrid, in the area known as Madrid of the Austrias, just 5 minutes walk from the Royal Palace and also the area used for Sunday's fleamarket, the Rastro. The nearest Metro station is Latina.